When you start building your website and setting it up to get higher Google rankings, you may think that everything you do with the site will have a direct effect. Over time, it has been found that this is not entirely true. While Google has not come right out with a list of things that make a website rank higher on their search engine, through trial and error and some programming knowledge, others have created that list for you! Non-ranking factors are things that do not have a direct affect on your Google rankings. Virtual Market Advantage will go over a few of them here. Just keep in mind that the parameters for Google rankings are subject to change at any time, as the company is constantly working to tweak and improve their system. Google does not care if you registered your website back in 2008 or as recently as 2017. The age of your website does not directly affect your Google rankings. What they do care about is how much your content actually helps people, and that you have inbound and outbound links and authority signals. However, there is a correlation that comes into play between these factors. If a website is still going strong today after 10 years, the chances are good that it has built up lots of links and authority over that time. Since these are not things that can be built up instantly (building links and good authority takes time), there is an indirect effect of age on ranking. If you do build up these strong links with a site that you registered just two years ago, Google could reward that site more than one that took over 10 years to develop to the same level. This is because you built up this authority over a small period of time versus a longer one, and indicates that the information is relevant to current online audiences. 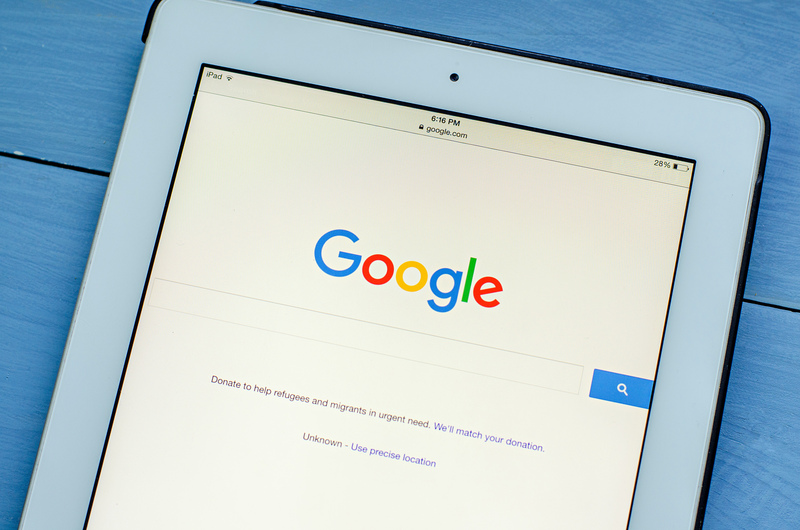 The idea that if you offer Google apps and services on your website it will immediately help your rankings is simply is not true. Your decision to use or not to use these on your site will not help or hurt your Google page rankings in any direct way. Google apps and services are tools that are up to you to offer and use. Google doesn't reward websites that offer them more than the websites that do not. If you’re leery of using these apps due to privacy issues, rest assured that Google does not use them to look in on your site in any way (though Google does keep metric data in plenty of other ways). You put a Facebook share counter on your website. That’s great if you want to share that information with your visitors or you want another way to keep track. That’s all it will be though. Google does not care that you are using visible social media counters when it comes to SEO. If the people on that Facebook share counter end up doing other activities that lead to more browser activity on your site, links, or brand awareness, Google does care about that. So this can indirectly have an effect if it alters viewer behavior. But it does not directly affect Google rankings. You don’t need to purchase Facebook shares in hopes of a higher Google website ranking. Just those shares alone will not help your Google ranking. If you get on your Google Analytics and see that the average time a visitor is on your site is only for about a minute, do not freak out and worry that it will hurt your Google page rank. There are several factors that can lead to a shorter visit. Maybe your page loads at a faster rate, allowing the visitor to find what they need quickly and be on their way. Or they may have reached your site from another location and are just doing a quick browse. In general, time spent on the site by visitors (or the bounce rate) does not directly affect your Google website ranking. Once a search engine knows about your site, they know about it. It’s indexed and will not be forgotten. It may be low in the search results, but it will always be there somewhere. So there is no point in continuing to re-submit the site repeatedly. Google or any other search engine will not rank your site higher simply because you keep filling out a form. You only need to complete a submission form once, and then use the other tools on your site to help your Google ranking. A web address is a web address. Taking the time to give your website its very own IP address will not affect your Google ranking. It will not improve the search results to elevate a site that has a separate IP address. So don’t take the extra time to do this step, and put that time into an area that will actually help you rank higher in Google. Shared hosting and inexpensive hosting options will not directly affect your website unless it hurts the loading speed. If the hosting does not hurt this, then one hosting provider is just as good as any other. If it works well for you, then there is no reason to pay more to use solo hosting. There is no reason to worry about the SEO, as it will not directly affect Google rankings of your site. While there are many myths out there about the algorithm of Google and what helps your rankings and what does not, the list above contains just some of the things that are known to not have a direct effect. Take the time to build a site that works for you and your business. Just remember that some things are a ranking factor and some things are not. If you want more information on how to improve your SEO, check out these blogs from Virtual Market Advantage: SEO Tips for Small Businesses, How to Improve Your Business’s Advertising and Marketing, and Long Tail Keywords.